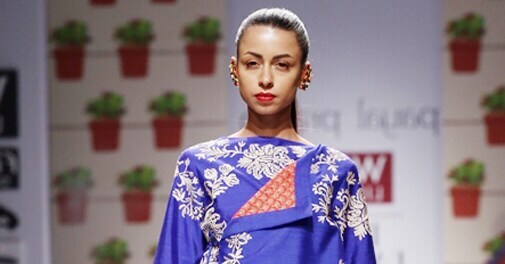 Five of the most exciting shows from Wills Lifestyle India Fashion Week- Spring Summer 2014. Spanning over 5 days, with 5-6 shows lined up each day, every season of Wills Lifestyle India Fashion Week is nothing short of a fashion extravaganza. And to make your presence felt among the many different shows isn't an easy task for any designer. The designers here stood out for having an interesting concept, innovative designs as well as spot-on creativity. Taking their inspiration from the gorgeous backdrops of the French Riviera, the designer-duo came out with their collection aimed at the chic traveler of today. The collection saw their signature floor length gowns and dresses with dramatic drapes along with interesting jumpsuits and playsuits in prints, bolds and umbrella stripes. Now you know just how to glamourise your vacation wardrobe! Giving resortwear and swimwear their own twist, the designer-duo celebrated the naked body with a collection that stood out with bold cuts. Their work saw some interesting trends such as loop knotting, slashing, the neoprene lehenga, latex bralet and the destination wedding sari. Full marks for their unabashed portrayal of bold sensuality! One of the most exciting new designers to have made a mark in the past few years, Payal's work has constantly managed to draw attention. This collection with its inspiration from the Chintz printing of 17th and 18th century Europe was no different. 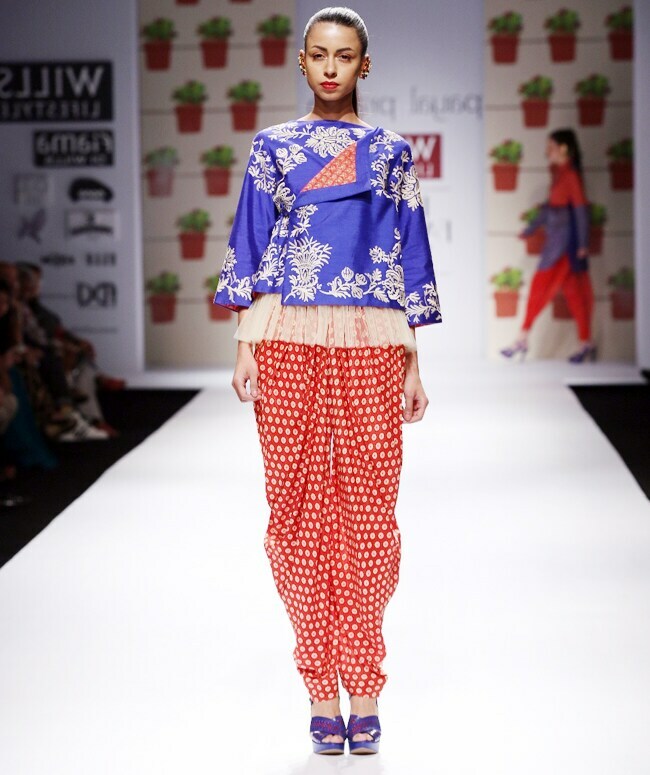 Floral motifs, patchwork prints and portrait embroidery in shades of red, cobalt blue and ecru made it all absolutely fantastic! 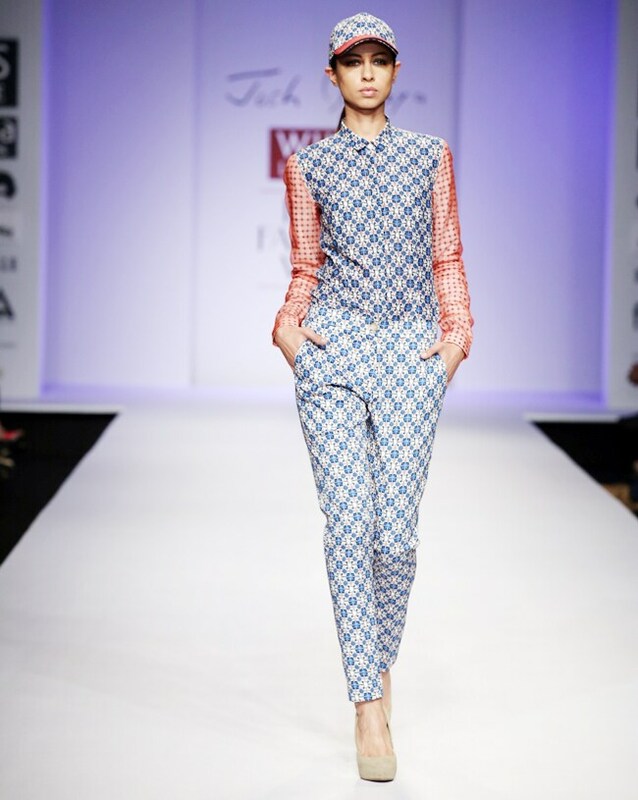 His packman print was quite a rage last season and all eyes were on Yogesh Chaudhry this time too. And he clearly didn't disappoint this time! His unique inspiration point being the underrated tee-shirt, the collection saw a varied range of merchandise toying with sportswear such as swimsuit with ripped details, dresses cut in pique and Indian outfits with scuba set detailing. Impressive! Probably the brightest spark of the 'Hi-5' show at the fashion week, Josh Goraya made a splashing debut on the runway with a collection that had splendid cuts, finish and tailoring. The inspiration being 'alter nature', the collection saw a spectrum of cotton fabrics, organdy, poplin, flannel, denim, twill, jersey and canvas among others in tones of navy, grey, off-white and red. We're excited for what he brings next!